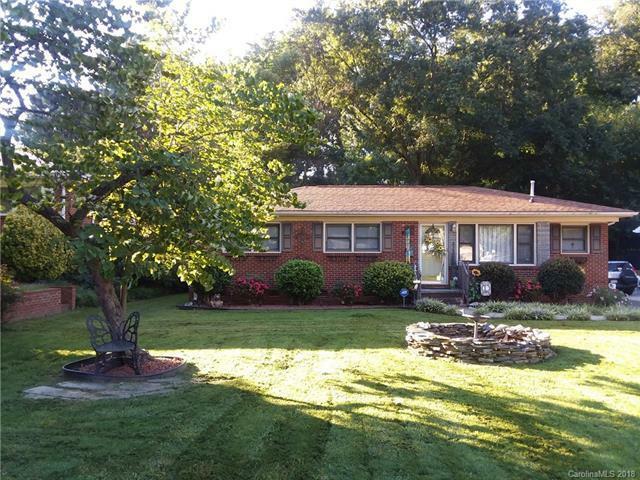 Must see brick ranch in Charlotte! Great curb appeal, pristine outdoor landscaping, open entry way with tons of natural light. Great room with refinished hardwood floors and large windows. Eat-in kitchen with decorative chair rail, molding, white cabinetry and solid surface counter tops. Spacious owners retreat with extra sitting area & two closet spaces. Secondary bedroom for office or guests! Updated &remodeled bathroom with tile surround tub & antique vanity. Glass storm doors on front and back doors of home. Fenced in peaceful and private backyard w/ patio surrounded by mature trees, perfect for entertaining! Large storage building with electricity for lawn mower & extra yard tools & can be used as a workshop. Flat yard, easy to maintain! No HOA! Expanded driveway for extra parking! Great location, close to schools, restaurants & shopping! Minutes from Uptown, Cotswold, Matthews & Southpark!